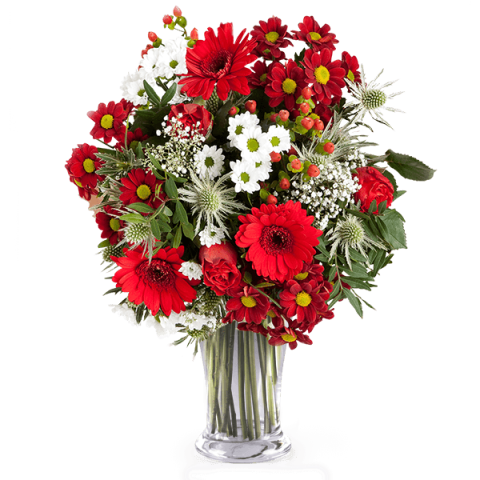 Blushing red roses are joined by mixed wildflowers flowers in other daring scarlet shades, while tasteful white hues complete the bouquet, inspiring powerful emotions. Share these sweet emotions on someone’s birthday or with your partner on your anniversary. The product is beautiful and the service was amazing! Delivery on time, lovely fresh flowers. No complaints.